Following the latest issue on Kris Aquino lambasting Mocha Uson in an Instagram post, Mark Lopez, a radio announcer and an alumnus of the University of Sto Tomas wrote an open letter addressed to Kris Aquino. Lopez said Aquino was just overacting in trying desperately to turn the Ninoy video post as an affront to her family when clearly what it was aiming for was simply to contextualize the Korean Kissing episode with President Duterte. Lopez in a Facebook post also defended Mocha stating that the latter did not say anything bad about Aquino's deceased parents. "Mocha did not say anything that can be construed as a derogatory attack or provocation on your deceased parents," Lopez said. Firstly, let me tell you how terrible you really are as an actress. Instead of gaining sympathy and rousing your yellow minions, you have only succeeded in generating ridicule and disgust. Puede ba, what was it in the Mocha post that turned you into the OA of the week? Really you are so OA as in overarching in trying desperately to turn the Ninoy video post as an affront to your family when clearly what it was aiming for was simply to contextualize the Korean Kissing episode with President Duterte. Mocha did not say anything that can be construed as a derogatory attack or provocation on your deceased parents. So where is the insult or attack to your family? The Duterte kissing issue is being spun out of proportion by groups identified with your family. The kissing incident is being portrayed as an abuse of power, of propagating misogyny and exploitation of the weakness of women. Precisely why that video of your father surfaced. To counter the argument against Duterte’s action. What Mocha did was post the two videos to validate the kissing of two leaders as part and parcel of our pop culture. Frankly, it is a sad indictment of our false worship, made worse by what people like you churn tastelessly in media and entertainment. And for you to spin what Mocha Uson posted as a revalida of this Pilipino culture of reverence into your revolting, repugnant and selfish art of necro politics is really so annoying and so sickening! Not content with this atrocious spin, you now want to make it about you and your deflated career. Really Kris? Trying to use Mocha to prop yourself, complete with all the bad acting and terrible script? How did it become about you or your fight just because your parents are dead? Where did that come from? 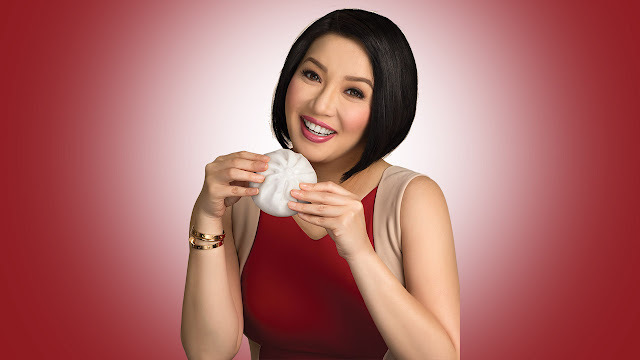 Guess what Kris, the Filipino people no longer buys your drama. Your family’s penchant for necro politics is no longer cute. Quit trying to parlay it or milk it. It is no longer effective. We no longer believe in your family, most especially with you. Don’t make me start pa how your family destroyed this nation, and that no amount of poorly contrived crying from you will absolve your family of your heinous crimes. Tigilan mo na ang hilig nyo i exploit ang mga patay. Please Kris, wake up from your delusion. Irrelevant na kayo. The only way you and your family are mentioned now is because you are the best examples of the worst kind of politics. Your family will be highlighted now not because of your legacy but because of the incompetence and ineptitude that set back this country instead of progressing. Just like your acting career. Kaya puede ba? Tantanan mo na kami.